The Indian government has released a lot of digital governance projects lately. They are making government schemes accessible through digital media. Recently they released UMANG app to allow normal citizens to get access to government schemes. This app is into periodic incremental development program allowing upcoming and existing schemes to be accessible to citizens. In this article, we review UMANG app on Android. 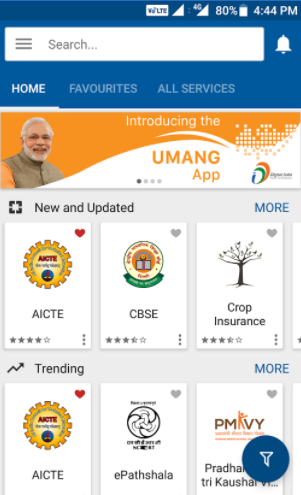 The Indian government has recently released UMANG Android app under Digital India program. This app is designed to be a companion app for the UMANG platform. This platform was designed to help normal citizens to access government schemes and services. This platform has been featured under Digital India program. Unlike other schemes from the government, this platform has been designed to offer help for various services through support ticket option. Let's try to understand what UMANG app is about and what type of services it intends to offer. The name UMANG is basically the short form of the following platform - "Unified Mobile Application for New Governance". This platform is going to unite almost every possible online governance service under a single app. And it wishes to offer the citizens chance to do things lot quickly instead of waiting in lines outside the offices. It is currently being released for Google Play store. However, iOS and Windows Mobile app store apps are planned for the future releases. There are a lot of service integrations planned for this app. Be it a scholarship, grants, insurance and other welfare services. Those are likely to be offered through the app options. What's included in this app? As of now around 70 services are already integrated into this app. There's plenty of help available for the CBSE students. And it also includes the E-pathshala module of the AICTE and NCERT. For youth, it includes Pradhan Mantri Kaushal Vikas Yojna module in it. It also includes online registration of patients for the govt hospital services and features. For those who are registered under Pradhan Mantri Awas Yojna, you can find them getting specific options under that scheme. It also includes transport services information under Vaahan and Sarthi module. For those who wish to register the gas connection under the govt companies can also use this app. You can book new cylinder under this scheme. For those who are pensioners, they can make use of the NPS module available inside the app. At present these set of modules are being offered and they have other future services which may get added in near future. The feedback module is also included but it requires lot of modifications for now. Yes the app is free to download. And you can perform a lot of query applications and service requests free of cost. The service has yet to add the RTI feature. If it does then it'd be a lot easier to access and follow ups on RTI application and requests. This is going to be an ongoing App platform that is going to keep on adding the services. Currently, the services such as Income tax, passport, PAN, Vaahan & Sarthi are to be released before 2018. And in next few quarters of 2018, you'd be able to get access to features such as EPFO, scholarship, Jeevan Pranam, Digisevak and Shaaladarpan. You can expect more services coming soon. Do expect the size of the app increased in the due process. Currently, the app is only serving through 11 local languages including English. In future, it may cover rest of the other languages in different states. It may also include toll-free number which works 24 hours and 7 days a week. The customer support section may include business hours but your requests and queries will be solved in time. UMANG is a good app for those who wish to benefit from the government services. A lot of us are not much aware of the govt. benefits that are given to the citizens. By making use of this app you can get the idea of what are the features available to you as a citizen. 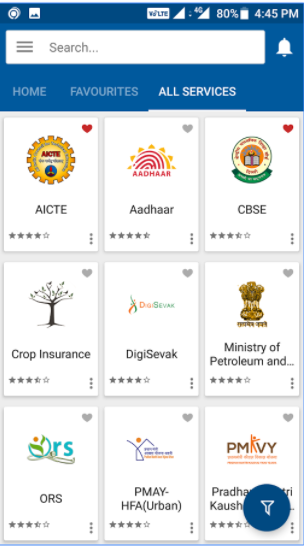 If you wish to keep a tab on government offerings then you should definitely take a look at this app. UMANG appears to be an ambitious online program of the present Government. In future there are many things which can be integrated with this giving the general public much respite from running to offices and other information centres. Even information on net is sometimes very old, confusing as well as misleading. In such a scenario this appears to be a good initiative by the Government. Let us see in long run how they combine it with Aadhar and other authentications so that things can be confirmed and assured online itself. The article written by the author has nicely explained the initial steps taken by the Government in this direction by releasing the online app UMANG.